This month kicks off a brand new feature on the blog, inspired by you! The yogi power behind Grateful Yoga is what keeps us (especially me) coming to class each day, thank you. I am honored, thrilled and humbled to present our first ever Grateful Yogi of the Month. Current favorite yoga posture: Side Crow! When/how/where did you start practicing yoga? Why is yoga a part of your life today? Yoga is always there for me. It is a constant that I am grateful to have; something for me to come back to no matter what is going on in my life. My husband is in the Army, and I’ve seen him for all of 40 hours in the past 6 months. Yoga has helped me overcome so many emotional and physical obstacles in my life so far, and I want to share that with others. 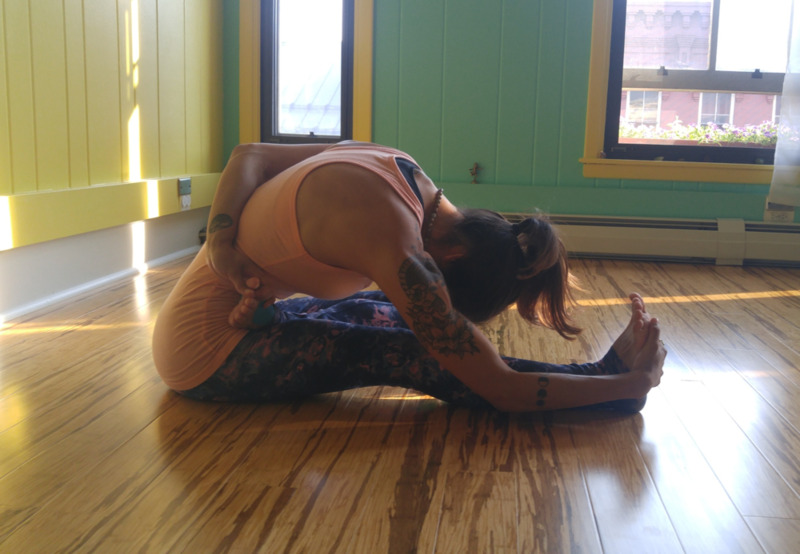 Along with pursuing the teacher training at Grateful Yoga, over the past 8 weeks, I have been training to get my certification for Yoga for Amputees. The goal is to teach veterans (and their families) who suffer from PTSD and traumatic injuries. What other things in life make you feel full, great and happy? My sweet pitbull Onyx and his brother, the green-cheeked conure Kále! I love having them to come home to after a long day. Also, I have been blessed with an amazing group of friends and family that support me and the journey I have begun. Older PostVibrations... Really good ones.